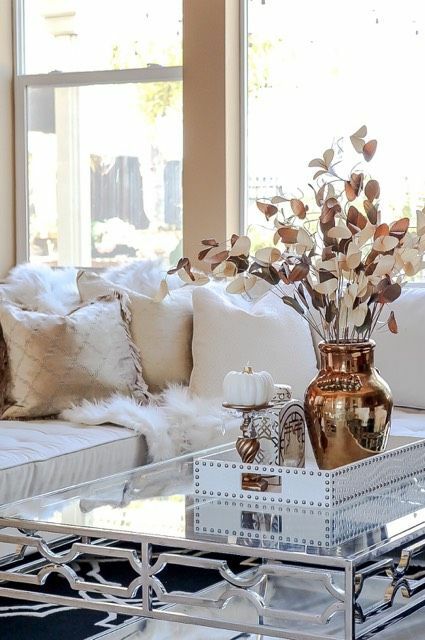 Add some metallic texture to your fall decor with these beautiful and inspiring copper fall decor ideas. 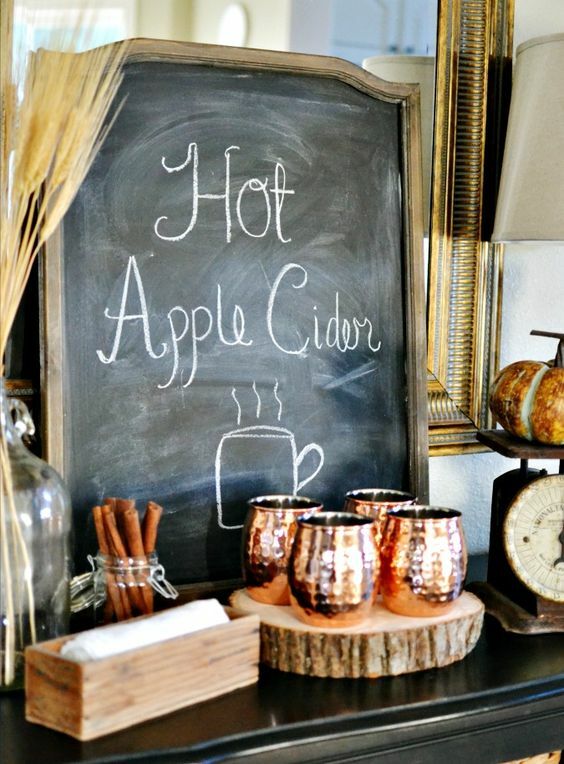 Are you ready for fall decorating? I know it’s a little bit early for some (I promise I’m not wishing away these last weeks of summer!) 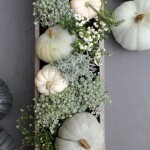 but I just love fall decor! Plus, fall gets cheated a bit when Christmas decor sneaks in early, so I want to savor it for as long as I can. 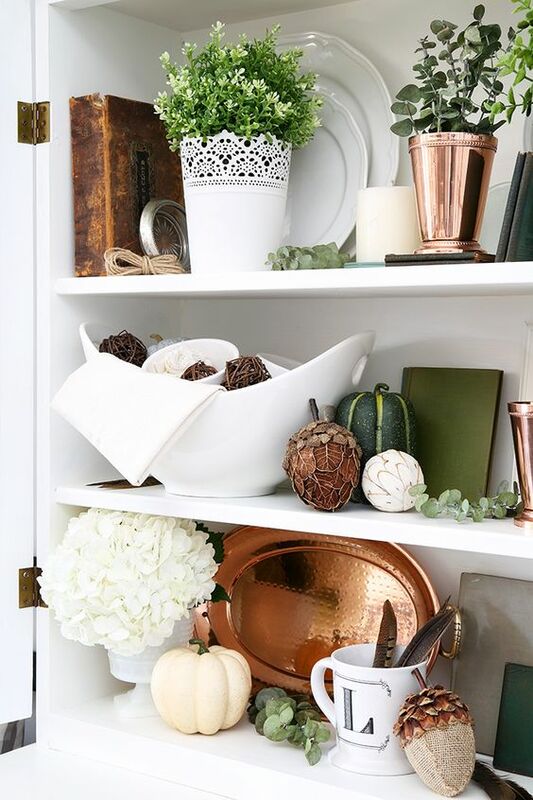 Lately, I’ve been totally crushing on the combination of copper and fall decor. They go so well together! 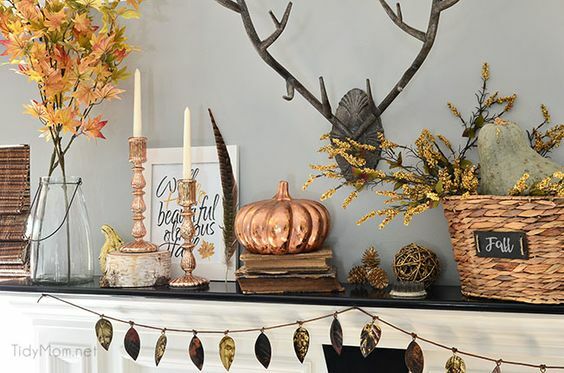 With all the natural elements and textures that are typical of autumn decor, adding hints of metallics here and there create such a lovely contrast. 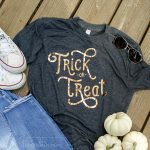 I’ve always been a sucker for rustic glam (as evidenced by this pumpkin project and this Christmas sign), so it’s no surprise that I love the copper + fall combo. 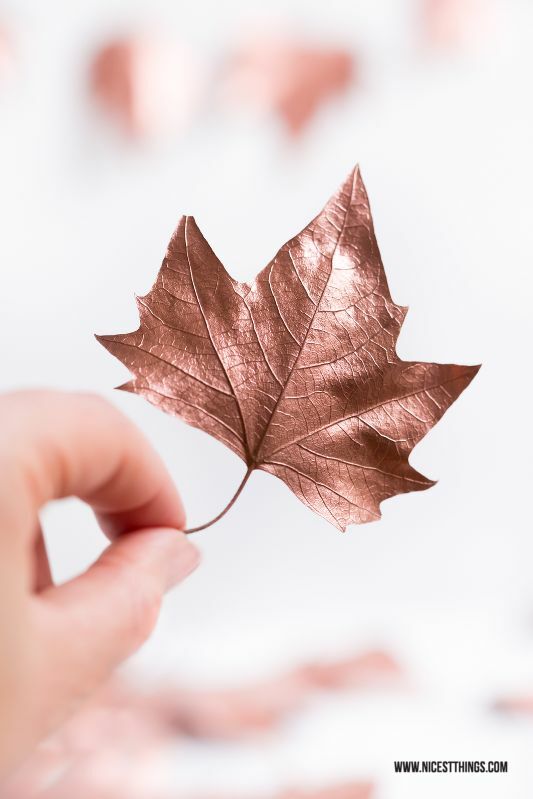 In case you’re as inspired as I am by the touches of copper in fall decor – or maybe if you haven’t been inspired by it yet – I put together a round-up of beautiful ways to use copper in your fall decorating! Pinterest etiquette reminder: feel free to pin the collage graphic from the top of this post, but if you’d like to pin any individual photos please click through and pin from the original source! 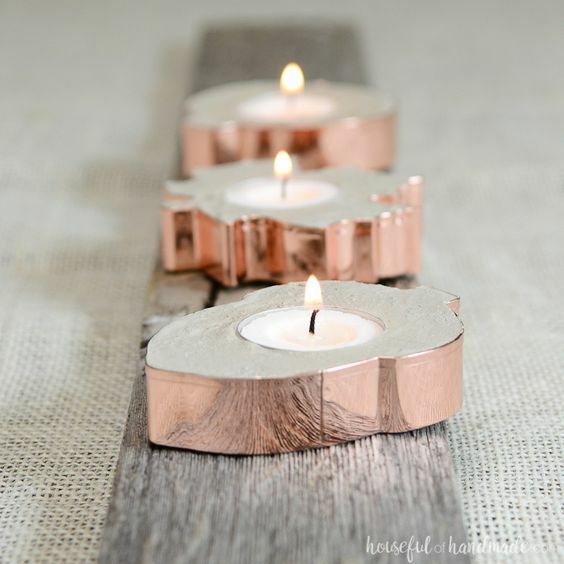 How amazing are these votive holders? Houseful of Handmade created them out of copper cookie cutters and concrete! See the full tutorial here. 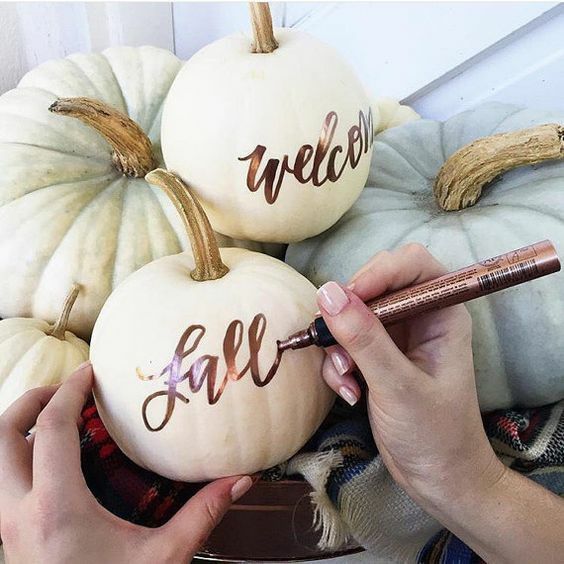 Grab a metallic copper paint pen from the craft store and use it to add some hand lettering to white pumpkins – so pretty! Great idea from The Perfect Palette. 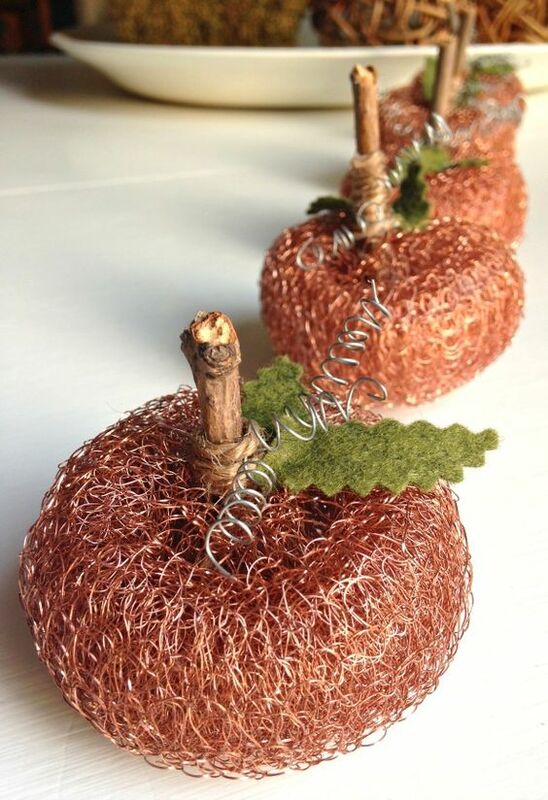 You’ve probably seen these copper dish scrubbing pads before – My Soulful Home made them into little pumpkins! How clever. 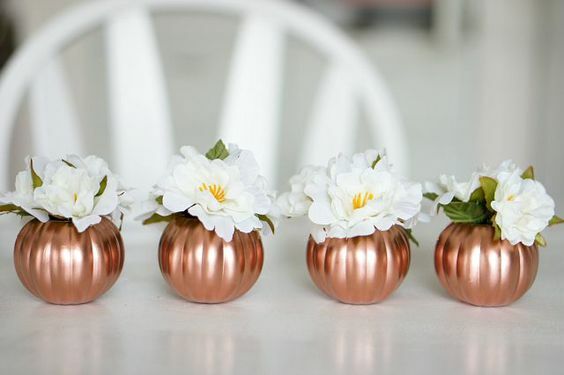 Copper spray paint + fallen leaves = rustic glam perfection. Via Nicest Things. 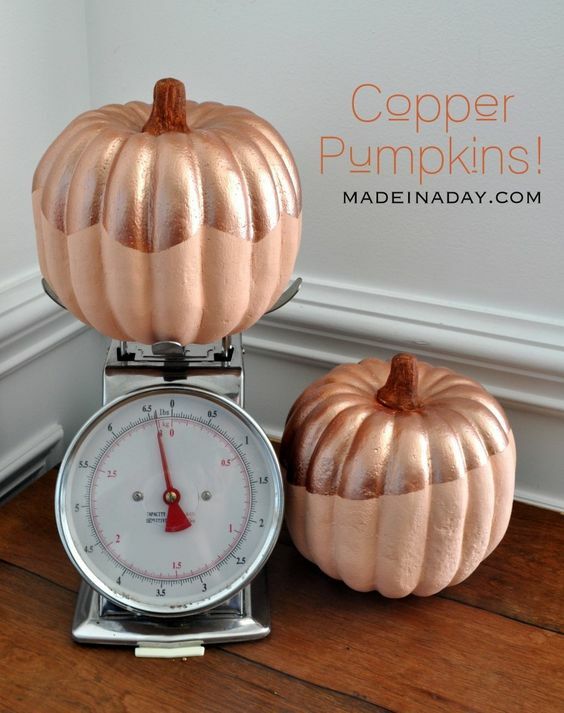 Made in a Day painted these cute Copper Top Pumpkins – so simple! 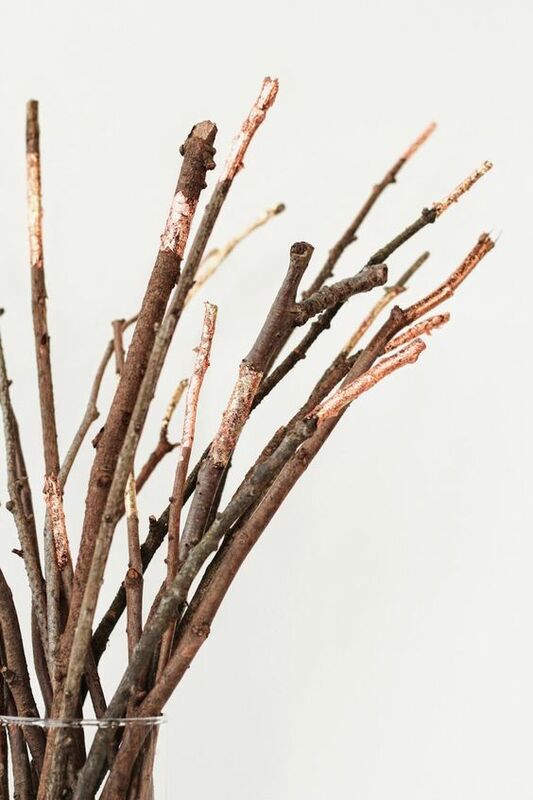 Another way to add some glam to natural elements – Poppy Talk added copper leaf to sticks, and they’re beautiful to display by themselves in a vase. Would you believe these were cheap plastic jack-o-lantern pumpkins from the dollar store?? Up to Date Interiors transformed them with some spray paint – so cute! 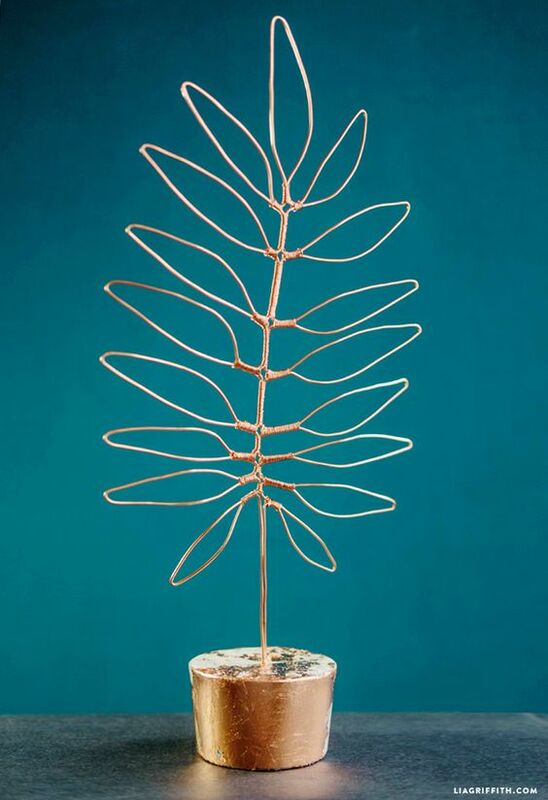 This is actually meant to be a jewelry stand from Lia Griffith, but I love the idea of creating shapes out of copper wire like this to use in your decor! 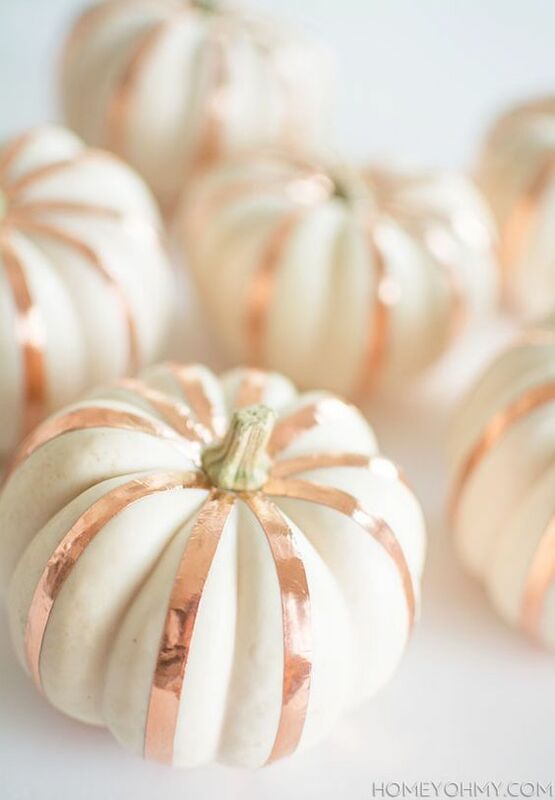 Simple copper tape on white pumpkins creates a neat effect, don’t you think? 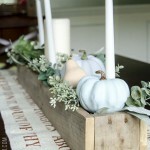 This is a super quick and simple DIY from Homey Oh My. 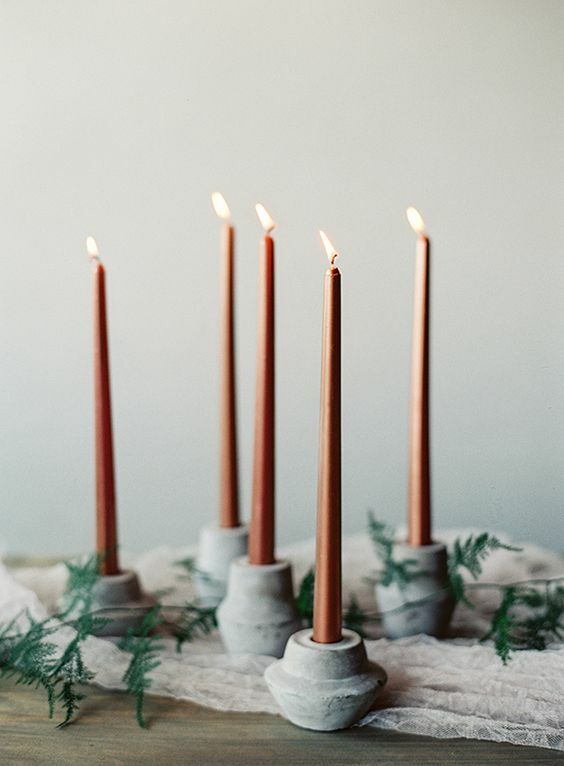 This is actually wedding decor idea but I just love the elegant look of copper taper candles, especially combined with the concrete votives. 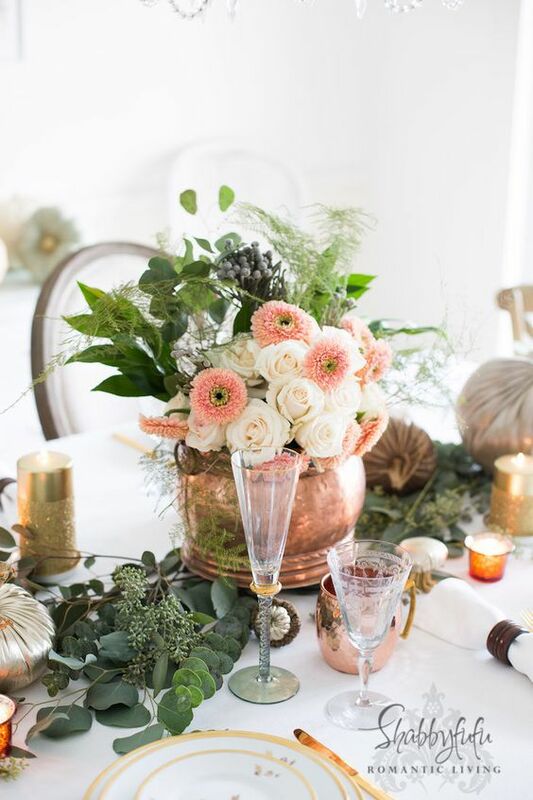 Copper soup tureen filled with flowers to create a beautiful fall tablescape by Shabbyfufu. 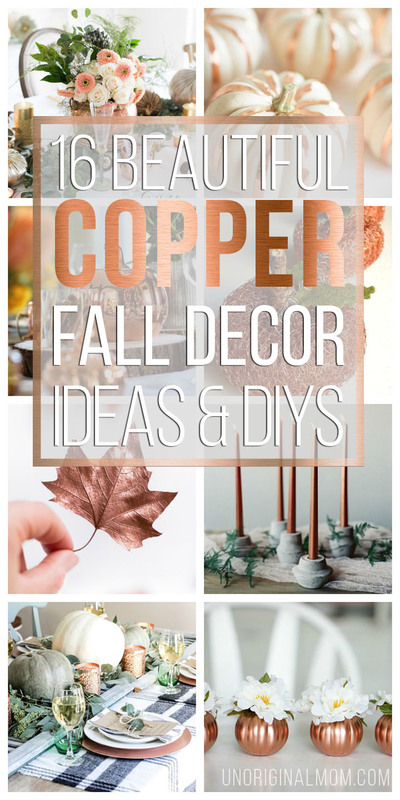 I don’t know about you, but I am even more head-over-heels for copper fall decor than I was before! 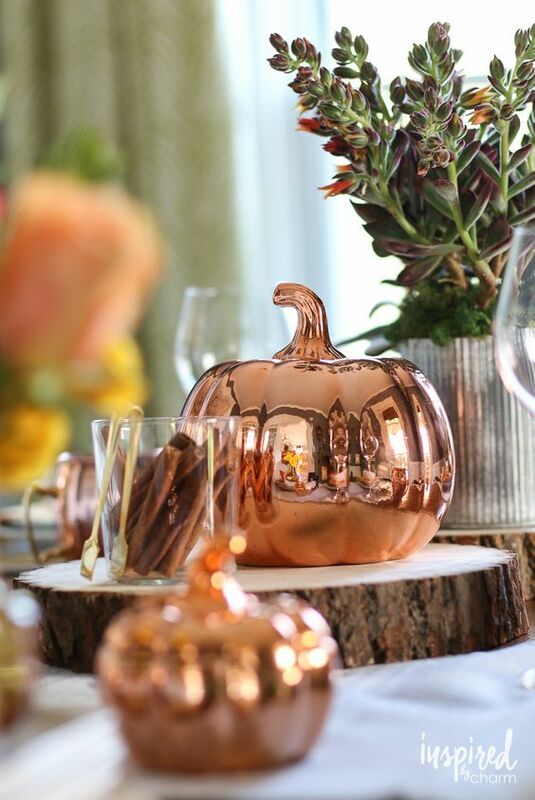 I’ll definitely be adding copper elements into my fall decorating this year…will you? ← Beer Bouquet Tutorial – Beer Gift Idea for Men!